Great Goals was created to be a sports program where every child enjoys himself or herself, while demonstrably getting better at the game. The atmosphere is child-friendly and at the same time challenging and skill focused. Great Goals runs basketball, football and multi-sport programs that teach game skills, team playing and sportsmanship to over 350 children. 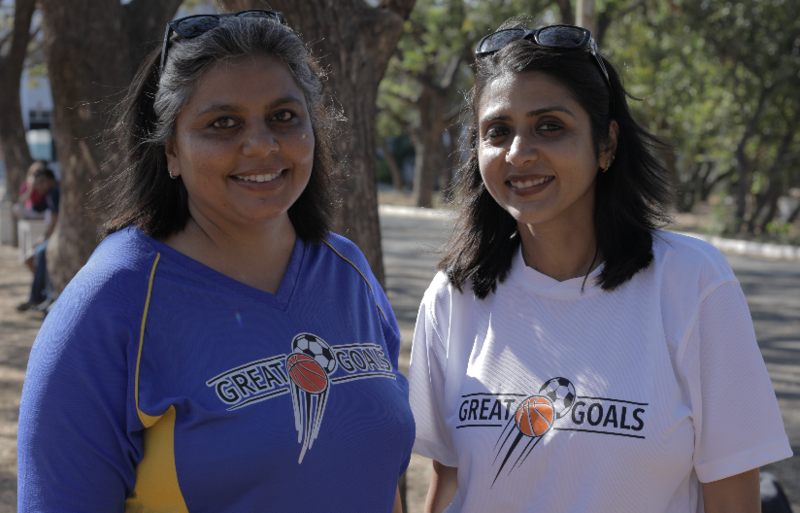 Founded in 2013, by Priya Gopalen and Sandhya Rajan, the program aims to bring together best practices in sport and education to build a program that is high-quality, fun, safe and professionally run. We maintain high coach-student ratios. Our coaches, many of whom have coaching licenses, are young, energetic and passionate about football and basketball. They are also active players in Chennai’s many clubs in the league, or continue to play at the Seniors level. Great Goals also offers school-based sports programs. We work closely with our coaches and staff to ensure age-appropriate curriculum, communication and safety standards. Watch our video to know more about us and our work.